Dr Anand currently works at the Department of Cardiovascular Medicine, University of Minnesota, MN, USA, University of Minnesota Twin Cities and Director of the Heart Failure Program at the VA Medical Center in Minneapolis. Dr Anand is member of the editorial board of several Journals and has authored over 320 peer reviewed scientific publications and has over 1,000 citations of his published work. 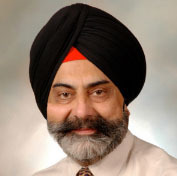 He has received numerous honors, scholarship and fellowships including the 2010 AACIO Life Time Achievement Award, the 2011 University of Minnesota Innovation Award, and the 2011 Cardiological Society of India Life Time Achievement Award.